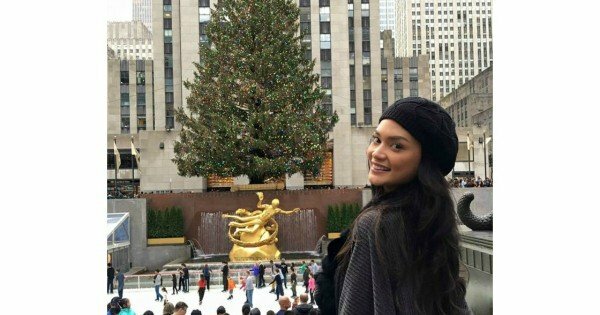 Miss Phillipines has finally addressed THAT Miss Universe stuff up. The next chapter in the year's most cringe-worthy TV saga. 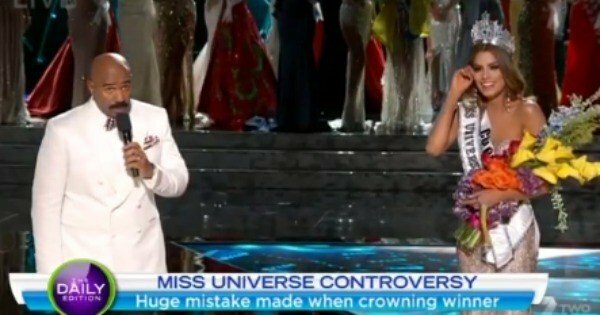 In case you’ve been living under a rock of turkey stuffing over the festive season, last week saw the annual Miss Universe competition end in the most awkward live-television kerfuffle of the decade. Host and recent internet parody sensation, Steve Harvey, announced Miss Columbia as the winner instead of rightful heir to the sparkle throne, Miss Philippines, after he mis-interpreted the winner’s card handed to him. 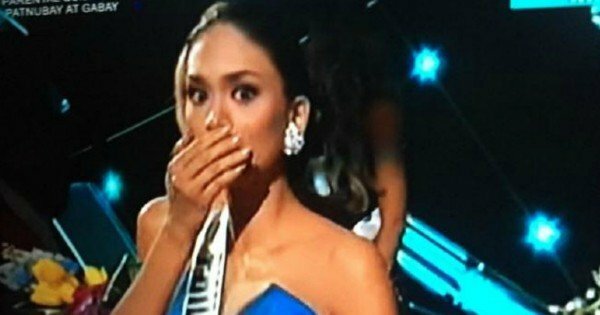 The moment Miss Philippines realised Miss Colombia was wearing her crown. What followed would make the most excruciating and incredible television of the year, when Miss Columbia, Ariadna Gutierrez, spent around 90 seconds basking in her glory, crown, flowers and all before being stripped of her win on the live, international broadcast. The internet peed it’s pants with excitement as the story captivated viewers around the world and news feeds pilled up with memes. 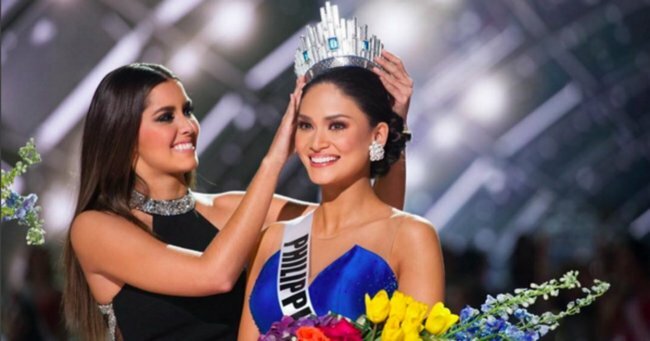 Now, the real winner, Miss Philippines, Pia Wurtzbach, has hit back at her colleague’s haters and offered her sincere condolences and support for Miss Columbia. … To Ariadna, you are an amazing woman and we are now bonded together forever by a unique experience. In the last 3 weeks we were together, I saw how strong and beautiful you are inside and out. You represented your country with honor and I know how proud everyone must be of you. Fate has a plan for you, and I’m excited to see what’s ahead. And to all the fans who are still fighting about this…Please let’s all stop now. The Miss Universe Organization is about uniting empowered women from all over the world. Arguing and sending hateful messages to each other defeats the whole purpose. You believe in the message of Miss Universe and so do I. This was the accompanying photo, which really says ‘For Ariadna, with love,’ don’t you think?